The Brunswick-Balke-Collender Company was founded in 1845 in Duboque, Iowa for fortepiano manufacturing. The first, not so successful attempt of manufacturing phonograph records was undertaken in 1916. The records had vertical (Hill-and-Dale) type of recording, and probably for this reason were not in great demand. They are rarely seen at current days. The second attempt was undertaken in 1920. This time the success accompanied the firm. 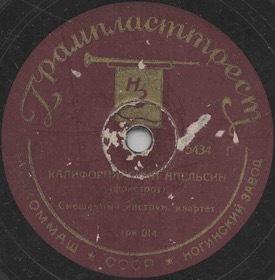 Phonograph records had more traditional lateral recording, and quality of records was very high for the acoustic period. 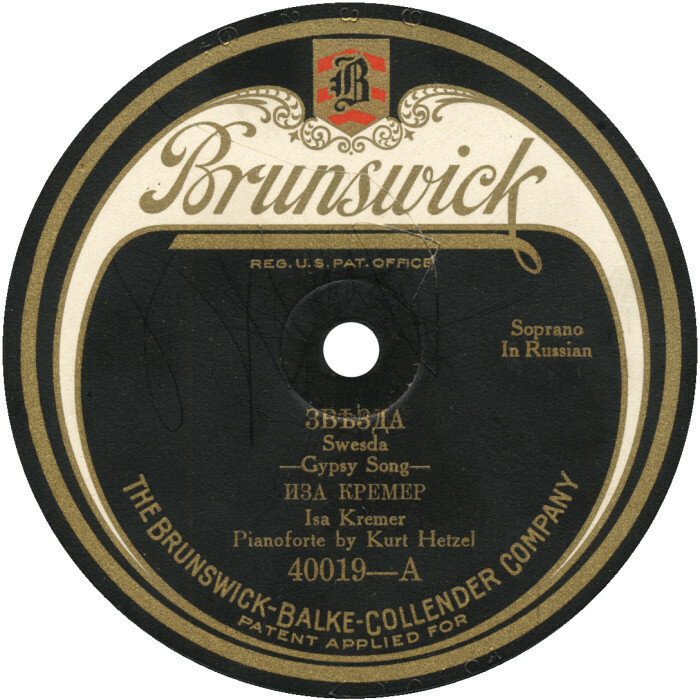 Appearance of the label was changed approximately in 1924-25. 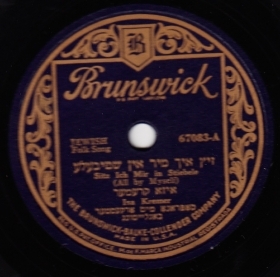 Soon after, the Brunswick switched to the new electric system of sound recording known as "light-ray". The first electrically recorded records had horrifying quality: playing back was accompanied by a thin pinched background noise, disturbing normal listening of recording. Within several months technical problems had been resolved and since then electric records had excellent quality. 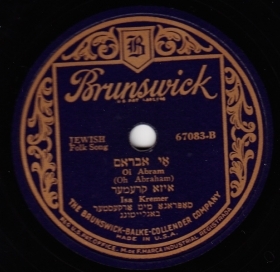 In the end of 1920th Brunswick, as well as the majority of the sound recording companies in America, had financial difficulties and was sold out to Warner Brothers in April 1930. 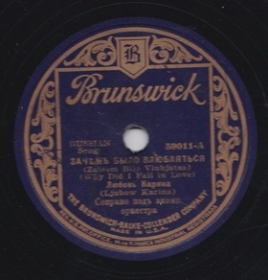 In spite of the fact that Warners Bros. invited known movie stars for recordings, the company could not survive, and in December 1931 it was sold out again, this time to the American Record Company (ARC) who by this time already had absorbed many other record companies. 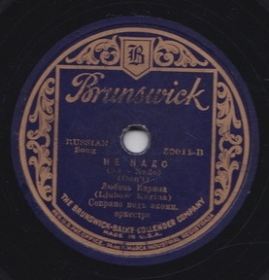 Brunswick became ARC prime label until being phased out in 1940, however in 1944 Decca, who now owned the name, made a number of jazz-reissues from 80000 series.